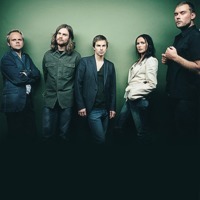 The Cardigans are a Danish-Swedish band formed in the town of Jönköping in October 1992. Their debut album Emmerdale (1994) gave them a solid base in their home country and enjoyed some success abroad, especially in Japan. It was not until their second album Life (1995) that an international reputation was secured. The band are best known outside of Sweden for their hit singles "Erase/Rewind" and "My Favourite Game" from the album Gran Turismo (1998) and "Lovefool" from the album First Band on the Moon (1996). Its inclusion in the soundtrack of William Shakespeare's Romeo + Juliet by director Baz Luhrmann secured their popularity.